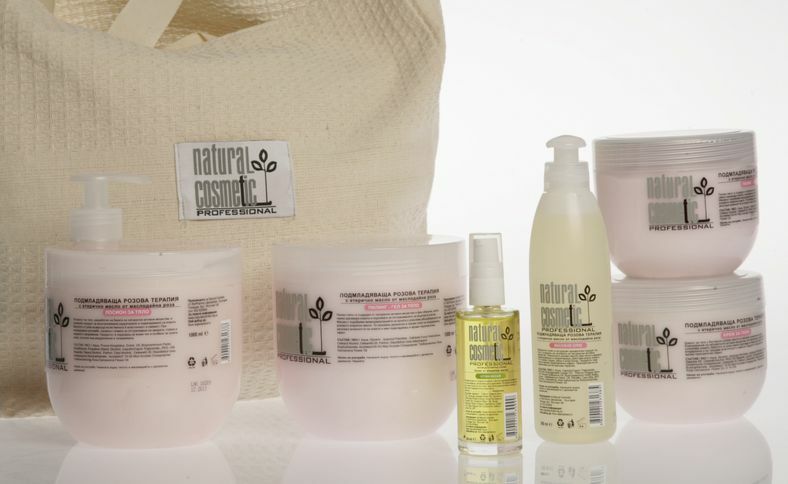 In the products of Natural Cosmetic LTD are used carefully selected essential and vegetable oils. Essential oils are widely used in everyday life of the people, used in perfumery, cosmetics, food industry, medicine, etc. They are fragrant and highly volatile. Quite different from ordinary oils, in their moisture resembles more water than oil. Its chemical composition is complicated, contain tens or even hundreds of components in the formulation, most commonly alcohols, esters, ketones, aldehydes, terpenes , etc . Usually colorless or pale yellow, soluble in organic solvents and insoluble in water. Most typical procedure of production is by distillation of the raw material and rarely by extraction ,or if it's a citrus, will be applied cold pressing method. The amount of essential oil which is located in a plant varies from about 0.01% to 10%, or even more in some species. Essential oils have both physiological and psychological effects on humans. 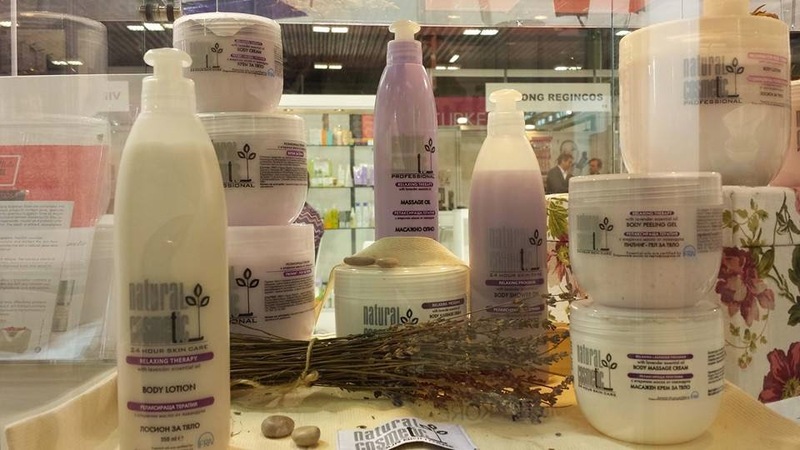 They are extremely concentrated, this necessitates that are used in small quantities, making them suitable for use in cosmetic products. Rose oil (Oleum Rosarium) has antiseptic properties and in aromatherapy is used for massage, baths, compresses, inhalations dermatoses, skin burns, infections and wounds stereene skin. Has rejuvenating, antioxidant and regenerative effect on the skin . The aroma helps against stress, anxiety, depression, nervousness, insomnia, nightmares, sleep, headaches, high blood pressure, arrhythmia, circulatory disorders, irregular menstruation, hay fever, cough and inflammation of the respiratory system. Also rose water is used in eye diseases and inflammations. Lavender oil (Lavandula vera/angustifolia flos) is used in aromatherapy and it's extremely efficient in reducing nervous tension and mental fatigue, soothes depression, anxiety, nervous insomnia , agitation and hysteria. Has analgesic action in rheumatism, migraine, menstrual and muscle aches. It is used successfully in skin inflammation and irritation, dermatitis, eczema, herpes, acne, varicose veins, stretch marks, fungal infections. Effective in insect stings and sunburn. Has a strong antiseptic, fastens the healing and the endurance of the skin. Contains natural SPF. Oil of patchouli (Pogostemon patchouli folia) accelerates the renewal of tissues, helps to break stasis accumulation of lymph in the deep layers of the skin, has a wicking action and enhances metabolism to successfully reduce cellulite. In aromatherapy it is used as a bactericide, fungicide and fastens the healing, also has a soothing, revitalizing and anti-depressive effect, stimulates and strengthens the immune system, has a strong anti-inflammatory effect, suppresses appetite. Extremely appropriate for 'orange' skin, skin inflammation, fungal infections, acne, eczema. 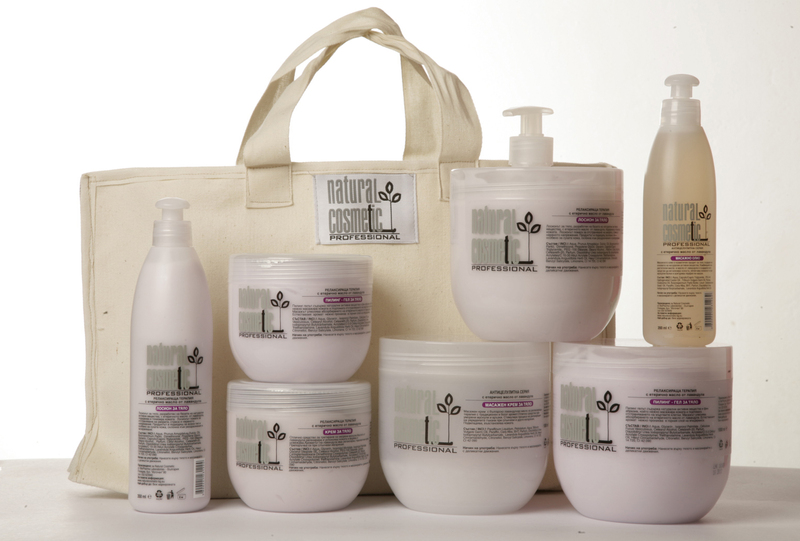 Suitable for all skin types, including dry, chapped, rough and aging. Aphrodisiac. Pepper oil (Piperum nigrum) in aromatherapy is applied as a remedy for rheumatism, arthritis, muscle pain, sore. 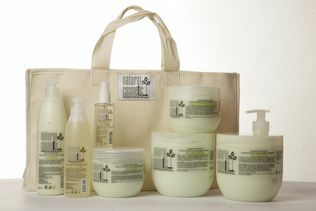 Has antiseptic, anti-cellulite, euphoric, erotisized, toning effect. Used in depression, apathy, chills, headache. Coriander oil (Coriandrum sativum (fructus)) in aromatherapy is used as an emollient in anxiety, nervous tension, stage fright, physical fatigue. Frequently used in therapies for rheumatic and arthritic pain, flu, cold, poorly healing wounds and abrasions, recovery from illness , and wave draining action too. Thyme. The oil has a strong antimicrobial and antifungal action. 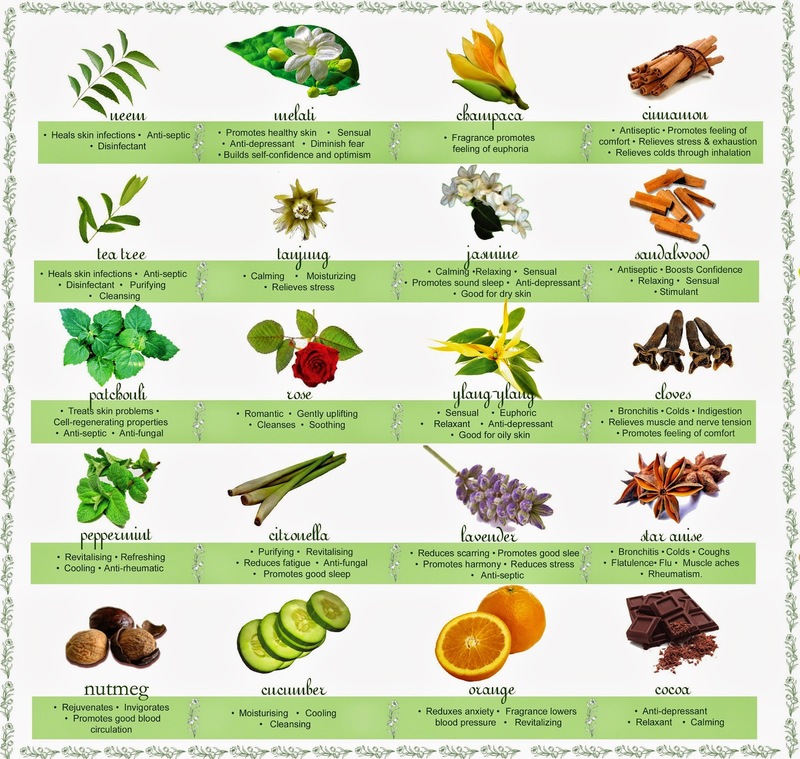 In aromatherapy is used as a bactericide, analgesic and as remedy for wounds and skin diseases. The oil has a refreshing effect, soothes mental fatigue, insomnia, rheumatism, arthritis and gout, acting painkiller. Raises blood pressure and regulates blood circulation, strengthens the immune system responds well in irregular menstruation. There is also an aphrodisiac effect. Pine oil. Has antiseptic, warming, antifungal and antispasmodic action. In aromatherapy is used for inhalations, massages, gargle, baths and compresses. It is used in cellulite, obesity, varicose veins, rheumatism, arthritis painkiller, in mental fatigue, insomnia, high blood pressure, inflammation of the skin, acne, fastens healing, diuretic. Vetiver oil (Vetivera Zizanoides) in aromatherapy is used for inhalation, massage, baths, face masks, wash. Used to relief stress, nervous tension, irritability, insomnia, rheumatism, muscle aches and tension,also suitable for dry and aging skin, allergic attacks and others. Has antiseptic properties and repellent effect. Vetiver oil has a great smoothing effect on skin. The aroma gives stability, confidence and peace of mind. Is called "oil of tranquility". Sandalwood oil(Santalum spricatum, Santalaceae). It has a strong antiseptic effect and therefore is mainly used for skin infections, acne, fungal infections, varicose veins. Applies also to depression, insomnia, nervous tension. Jasmine Oil (Jasminum polyanthum) has antidepressant, antiseptic, antispasmodic, sedative, aphrodisiac is. It works mainly on an emotional level, calms the nerves, gives a sense of optimism, confidence and euphoria. Stimulates the synthesis of encephalitis - a substance that stops the pain and trigger a state of happiness. Jasmine is beneficial for dry, sensitive skin, especially if there is redness or itching, but is also suitable for other types of skin. Benzoin. Has antiseptic, diuretic, sedative, accelerating healing action. It is used for colds and flu, cough, rheumatoid arthritis. Is particularly suitable for skin problems like redness, inflammation and itching, also for cracked, dry skin, wounds, etc. Recommended for emotional or mental exhaustion, it have an euphoric effect. Vegetable oils are extracted from the seeds and fruits of oil plants usually by pressing. The so-called. 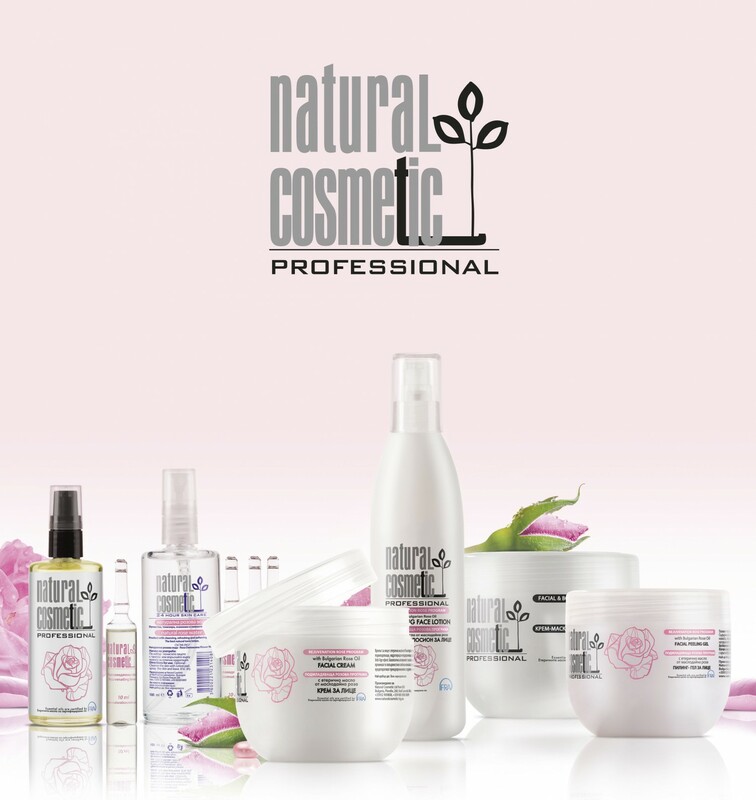 "Raw" oils are used in cosmetics and are obtained by cold pressing in order to preserve the biological value of the thermally unstable components therein. Contain about 98% triacylglycerols, and 2% other lipids such as vitamins and provitamins (carotenoids, tocopherols, etc. )., Dyestuffs, antioxidants, phosphatides, phytosterols, minerals and others. Fatty acid composition of triacylglycerols varies considerably. Vegetable oils are usually liquid, but there are some in solid state too(cocoa, for example). Besides cosmetics and nutrition , plant oils are used as base oils in aromatherapy massage, medicine, etc. Wheat germ oil (Triticum Vulgare) is indispensable for dry and very dry skin. Rich in vitamin E, a natural antioxidant, it softens, soothes and regenerates the skin. Prevent stretch marks, suitable for sensitive skin. Cocoa butter. It is solid and it's melted at the temperature of the human body. Gives elasticity to the skin and has excellent moisturizing and antioxidant properties. Prevents stretch marks in pregnant women. The smell of cocoa butter improves mood and reduces nervous tension. Excellent tool for use in massage or as base massage oils. Suitable for all skin types, including sensitive. 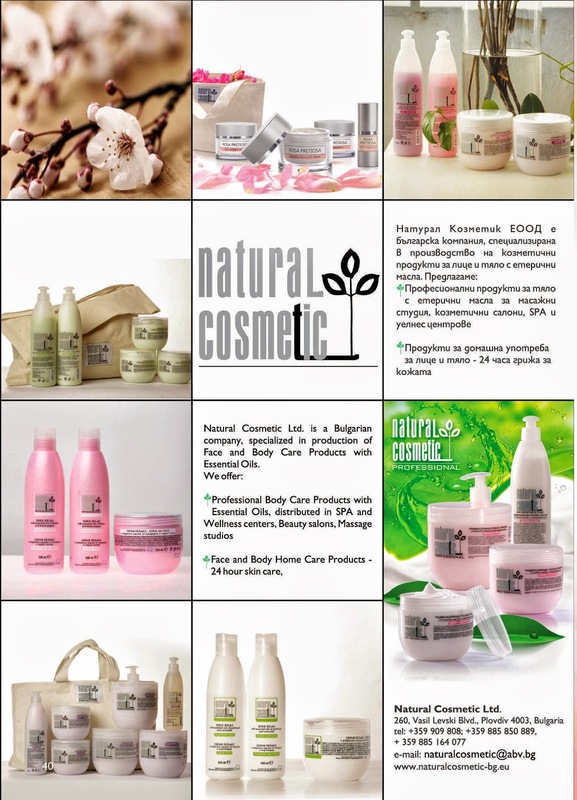 We are glad to announce that this Monday 20th, Natural Cosmetic LTD will perform showcased presentation in Burgas, Bulgaria, just for you, our Professional Customers. The event will include demonstration with a specialist and under the guidance of a Master in Pharmacy, also will future helpful tips about our professional lines - face and body care. 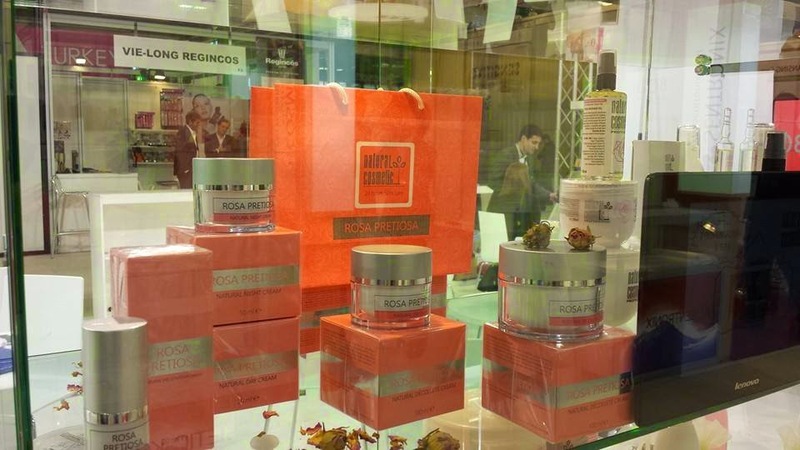 There will be a practical and theoretical parts about our valuable natural products and their correct use in the professional areas of face and body skin care. We are strong because we are up to date! Gentle, cleansing BIO face mousse all skin types. The delicate deep cleansing of the oily skin is due to the highly purified Soapnut extract (Sapindus Mukorossi Gaertn.). This wonderful herb has а natural cleansing properties are caused by natural substances called saponins. The green tea extract is famous for its antioxidative and detoxifying effects. Nettle is a herb that has a long tradition of use, it gives the skin a mate healthy look, during the whole day.Directions for use: apply the product on the wet skin of the face, massage delicately and rinse off with water. Keep away from eyes.